Serving high net worth clients primarily throughout Fairfield County, Connecticut and metropolitan New York from our law office in Greenwich, Connecticut, the attorneys at Smith & Grant LLP are here to help you preserve and transfer your assets, establish and enforce your wishes for the future, and create a lasting legacy for your loved ones. Whether you are an individual, family or fiduciary, you can turn to our law firm for the legal counsel you need to make well-informed decisions regarding your assets, and for the assistance required to administer an estate or trust as efficiently as possible. U.S. News & World Report named us a Tier 1 law firm for Trusts and Estates Law in 2018. Our mission is to deliver quality legal service to our clients. We will work closely with you to help you achieve your specific goals. 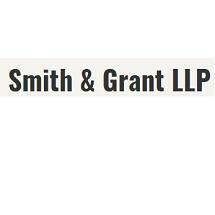 For more information, you can contact Smith & Grant LLP by calling our law office or filling out the online form located on our website.